Cornifying EpitheliomasAlso known as canine keratoacanthomas or infundibular keratinizing acanthomas, cornifying epitheliomas start in the dog's hair follicle, not his skin per se. They consist of keratin, a protein found in skin and hair. 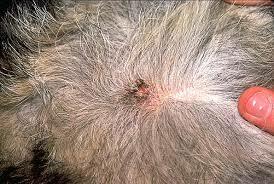 These growths vary in size and may be accompanied by some hair loss around the area. Unlike some benign growths, they will not go away on their own. 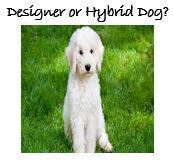 It is possible for the growth to rupture, which releases keratin and other cystic material onto the dog's coat and skin and requires veterinary attention. Surgical RemovalIn most cases, removal of a cutaneous horn isn't necessary, except for cosmetic purposes. However, if the growth is within reach of your dog's mouth, he might chew or lick it frequently, causing wounds to form. He also could scratch it enough to result in lesions. Your vet can remove the growth, but there's always a chance new growths could develop. Your vet can prescribe retinoids, given orally, to eradicate the growths without the need for surgery.